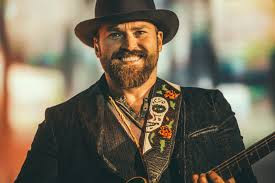 Zac Brown might know what "It" is. To have a successful long-term relationship, I think most people would agree that two people have to be compatible in a number of important ways. I think, for men, the first level of compatibility is visual. For a lot of evolutionary reasons, a man is simply attracted to a woman who he thinks is pretty. Depending on social and cultural standards at a given time, the traits of physical attractiveness have changed. To some degree, relative attractiveness is also matter of personal preference. Of course, there’s much more than physical attractiveness that makes a relationship successful such as harmonious attributes relating to intellect, spiritualism, creativity, emotions, and a lot more. Equals. Complements. Compatibility. Chemistry. It is more. highlight a relative strength that one partner possesses that serves to make the relationship stronger. A good example of Complements is a couple in which one partner is calm and measured in his or her approach to life and the other who is more impetuous. The more composed partner serves as a guidepost during difficult times that relationships inevitably face. The more impulsive may be more creative, however, and provide unique ways to approach complex relationship problems. Notably, it may not always be the same partner who is the guide. One partner may be the spiritual and creative leader, while the other may be the physical and emotional leader. Also, I think that more successful couples are a combination of Equal and Complement where one partner is the guide in some areas, the other is the guide in others. Whether Equals, Complements or some combination, two people who are compatible in the important areas of life can, and often do, in my observation have a successful, loving, committed, life-long relationship. Compatible couples may also feel something that many people call “chemistry.” Frankly, they probably have chemistry, if chemistry is defined as finishing the other’s sentences and communicating sometimes with an expression or perhaps with nothing at all. Chemistry lets two people just to know. It is something that one person senses for another person very shortly after meeting her (or, for women, him). It makes everything, from food to physical intimacy to doing the dishes, exponentially more enjoyable. It doesn’t prevent disagreements or arguments, but It lets the couple know after the spat, regardless of subject, length, or degree of passion, everything will always be okay in the end. Whether the couple is aware, two people who share It also have a purpose. The relationship of a couple who has It only ends when one partner dies.
. . . linked in a cosmically significant manner, even when superficial links are not evident. The two members of a duprass live lives that revolve around each other, and are therefore often married. "A true duprass can't be invaded, not even by children born of such a union. [ii]"
is “6.8 per 1,000,[iv]” the divorce rate is more than 50% of the marriage rate. That means more than half of people absolutely don’t have It. Among those who remain in committed relationships, it’s really hard to say how many are compatible and believe they have chemistry and how many have It. Consider the number of potential romantic partners a single man sees in his lifetime. The answer is probably several hundred or thousands each year. Among those a man speaks only to a few and gets to know even fewer. Considering the “average age of first marriage in the United States is 27 for women and 29 for men, up from 23 for women and 26 for men in 1990 and 20 and 22 (!) in 1960,[v]” how many chances would a guy have to meet a woman with whom he shares It? So, among those 270, with how many will have whatever It is? I don’t know. I know some couples who also have It, but it’s not that many. So, now that we’re single fathers, how many times will we have the chance to find It? [i] Cat’s Cradle. 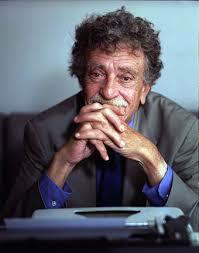 Kurt Vonnegut, Jr. Holt Rinehart and Winston. 1963. [ii] “Bokononism.” Wikipedia. https://en.wikipedia.org/wiki/Bokononism. Accessed 12/17/15. [iii] “Marriage and Divorce.” The Centers for Disease Control and Prevention.” http://www.cdc.gov/nchs/fastats/marriage-divorce.htm. Accessed 12/17/15. [iv] [iv] “Marriage and Divorce.” The Centers for Disease Control and Prevention.” http://www.cdc.gov/nchs/fastats/marriage-divorce.htm. Accessed 12/17/15. [v] “Getting Married Later Is Great for College-Educated Women.” Eleanor Barkhorn. The Atlantic. March 15, 2013.